2. 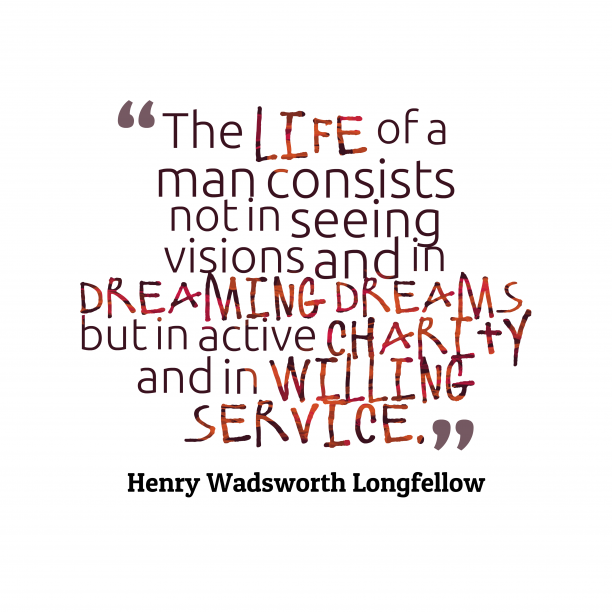 Henry Wadsworth Longfellow quote about service. 3. 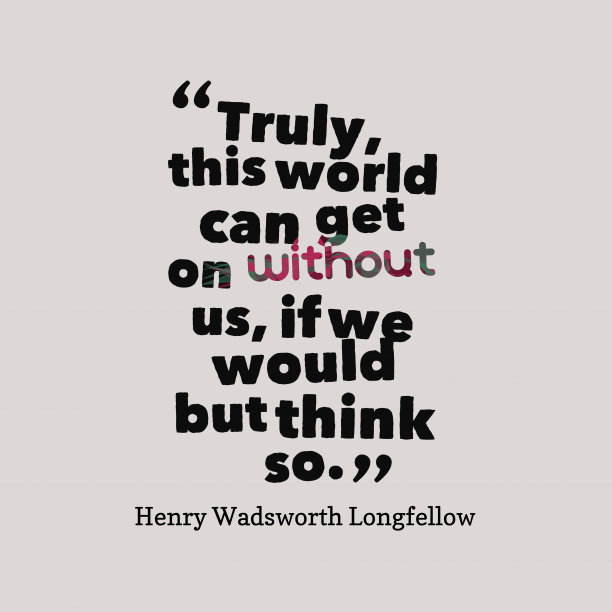 Henry Wadsworth Longfellow quote about self. 4. 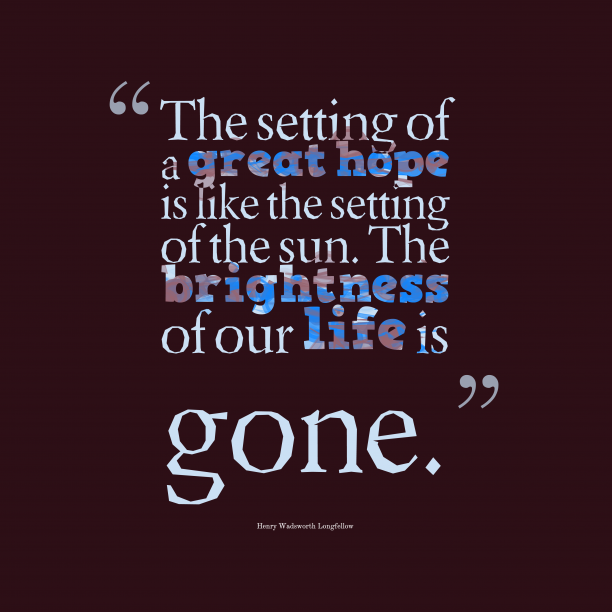 Henry Wadsworth Longfellow quote about hope. "?Tell me not, in mournful numbers, Life is but an empty dream! For the soul is dead that slumbers, and things are not what they seem. Life is real! Life is earnest! And the grave is not its goal; Dust thou art; to dust returnest, Was not spoken of the soul.? " "Let us, then be up and doing, With a heart for any fate; Still achieving, still pursuing, Learn to labour and to wait. " "Learn to labour and to wait. " 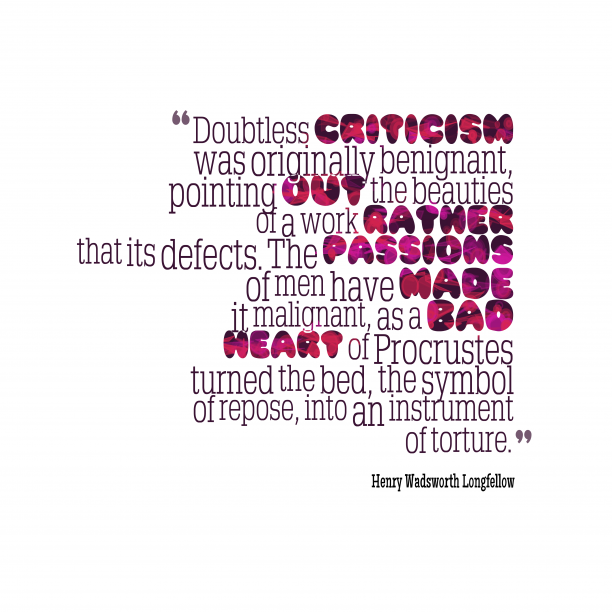 "Look not mournfully into the past. It comes not back again. Wisely improve the present. It is thine. Go forth to meet the shadowy future, without fear. " "Age is opportunity no less than youth itself. " "Men of genius are often dull and inert in society, as a blazing meteor when it descends to earth, is only a stone. " 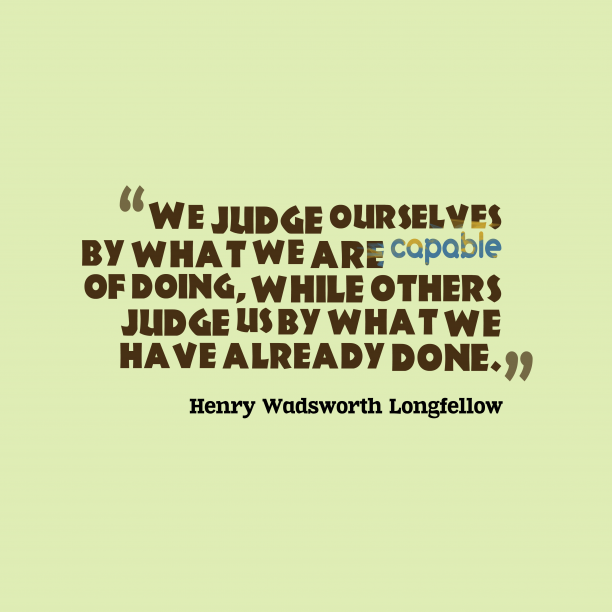 "He that respects himself is safe from others. 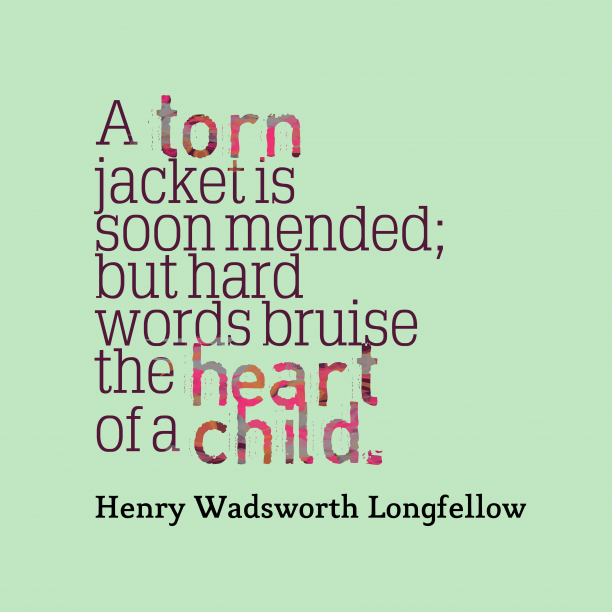 He wears a coat of mail that none can pierce. " "The heights by great men reached and kept were not attained by sudden flight, but they while their companions slept, were toiling upward in the night. " "Give what you have. To someone, it may be better than you dare to think. " "All things must change to something new, to something strange. "